CUSA research associate and Social Ecology Ph.D. candidate Nora Davis has recently published an article in the March 2014 issue of the research journal, Ecopsychology. 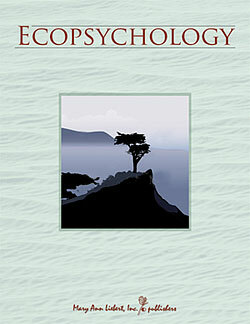 The article is entitled, “Ecopsychological Insularity in Nature Experience Research: Looking In Before Reaching Out” and can be accessed here. Davis, Nora. Ecopsychology. March 2014, 6(1): 46-47. doi:10.1089/eco.2013.0087.